At the behest of Pope Francis, the Vatican hospital not only offered to treat Alfie Evans, who suffers from an unknown degenerative brain disorder, but had a ambulance plane at the ready to transport him once British judges gave permission for him to leave England—which has not happened. 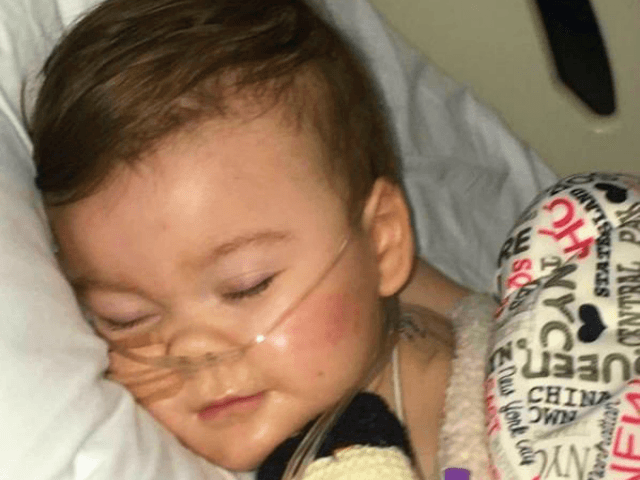 In an interview published Thursday in the Spanish daily ABC, Mariella Enoc, director of the Bambino Gesù, said that the decision of the UK High Court forbidding that Alfie travel elsewhere for treatment “does not strictly stem from legal reasoning” but is ideologically driven. “This very rigid way of applying the law shows that they do not accept dialogue,” Ms. Enoc said, while expressing her displeasure at the “bitterness” of the debate over the fate of the toddler. Ms. Enoc flew to Liverpool, England, last Monday to offer the services of the Bambino Gesù hospital for Alfie Evans, but met with a discourteous cold shoulder, with hospital management refusing to even speak with her. Hospital staff are now reportedly doing everything in their power to accelerate the death of the infant, withholding oxygen and fluids from the boy. Meanwhile, public figures ranging from Pope Francis to the president of the European Parliament to the Italian foreign and interior ministers have weighed in on behalf of Alfie and his parents, while UK authorities have simply grown more entrenched in their position.